Brother Earth brings together the formidable talents of multi-instrumentalist Todd Tobias (Circus Devils) and vocalist Steve Five (The Library is on Fire). Their shadowy, kaleidoscopic music vacillates between brooding textural pieces and exuberant rock-and-roll at the drop of a hat, chasing the ghosts of pop music past into a hall of cracked mirrors. On Brother Earth’s debut album for Hidden Shoal the band’s shadowy, kaleidoscopic music vacillates between brooding textural pieces and exuberant rock-and-roll at the drop of a hat, chasing the ghosts of pop music past into a hall of cracked mirrors. Positive Haywires’ wonderfully elastic aesthetics shift from dark and broken to sunny and playful in a matter of songs, while maintaining their own warped and beautiful logic. If their first single ‘Out Like A Lion’ saw Brother Earth creeping around in the darkness weaving mesmerising magic, ‘City Of Gold’ sees them breaking into the light as fist-pumping power chords carry the song into the same realm of lo-fi rock classicism as prime GBV. This is epic dream-rock, packed into a running time of just over a minute. Negotiating the smoky ambience of ‘Out Like A Lion’ feels like squinting into the dark and tiptoeing down a staircase covered in moss. The darkness is pressing in all around you, but the insistence of the percussion and nylon-string guitar tugs you onward, mesmerised by the incantatory vocal. ‘Out Like A Lion’ is taken from the forthcoming Brother Earth album Positive Haywires (16th Sept 2014), which vacillates between brooding textural pieces and exuberant rock’n’roll at the drop of a hat, chasing the ghosts of pop music past into a hall of cracked mirrors. 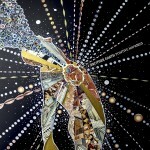 Brother Earth is a collaboration between multi-instrumentalist/producer Todd Tobias and vocalist Steve Five. Todd’s darkly exotic instrumental music has featured on three Hidden Shoal releases to date (Medicine Show, Night Above Ground and I Razor). Todd is also a member of Circus Devils alongside brother Tim Tobias and vocalist Robert Pollard (Guided by Voices). Steve Five is the guitarist/vocalist/songwriter for the Brooklyn-based band The Library is on Fire. 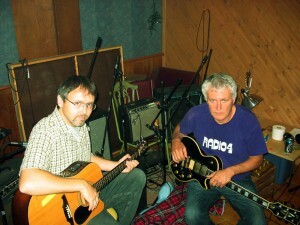 Todd and Steve first met in 2007 when TLIOF recorded an album with Todd as producer. During the recording Steve and Todd struck up a friendship, leading to the pair creating backyard music videos for Circus Devils. 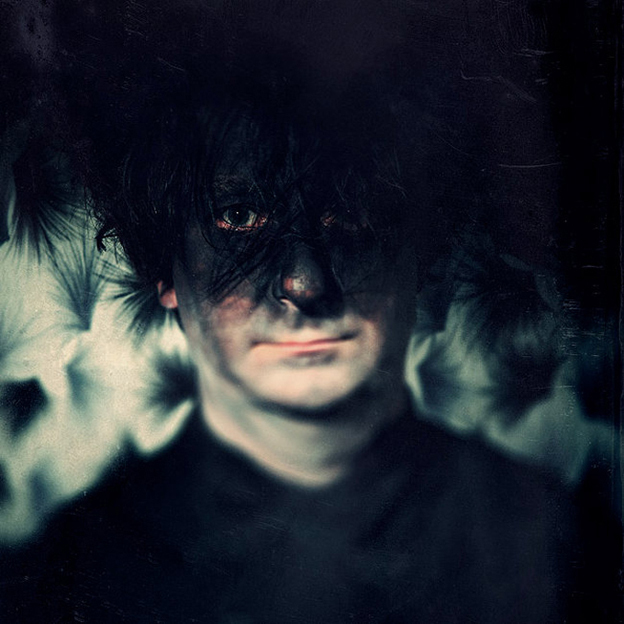 In the videos Steve played a number of characters, and went on to play the main character in the experimental feature film I Razor, the soundtrack of which was released on Hidden Shoal. 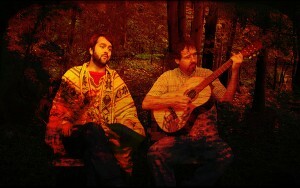 In 2008 Steve and Todd decided to begin recording their own songs as Brother Earth. Positive Haywires is a collection of Brother Earth songs recorded between 2008 and 2013. We have a dirty little secret we’ve been keeping up until now. 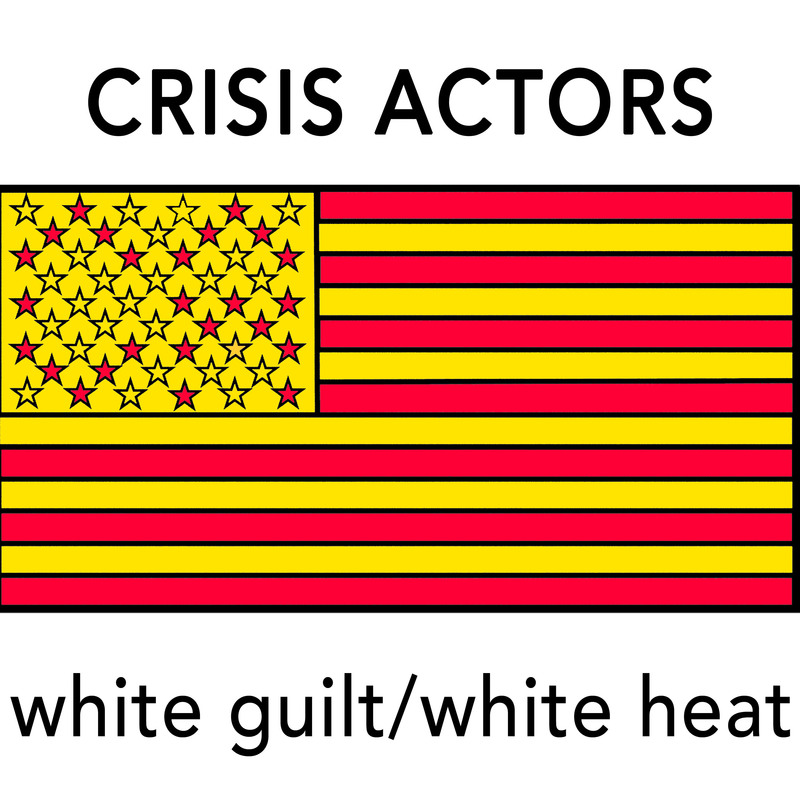 We’ve been given security clearance to finally to announce the release of White Guilt, White Heat, the debut EP of incendiary guitar filth from shadowy collective Crisis Actors, accompanied by the video for lead track ‘Welcome To Babylon’. Hidden Shoal received the encrypted digital files via a portal in the dark web, accompanied by the following text: “Crisis Actors are not real people. They are a group of actors – Steve Illuminati, Todd Reptilian and Cory Alien – intent on exposing the corruption and lies of mainstream media. They are meta-conspiracists, investigative citizen journalists, and proud patriots, America’s sons.” The digital files comprise five sludgy garage rock salvos, a surge of righteous disgust, a tidal wave of guitar filth set to choke all hypocrites, corporate puppets and environmental rapists in their path. Rumours abound that there may be some link between Crisis Actors and Hidden Shoal labelmates Brother Earth, but such links can be neither confirmed nor denied. Hidden Shoal maintains they are proudly complicit in disseminating these seeds of illumination. 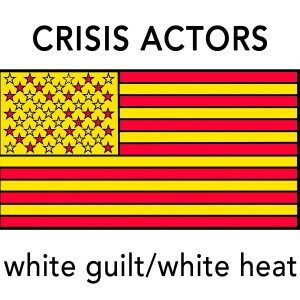 Read more about Crisis Actors here, grab yourself a copy of the EP here (pay what you want) here and check out the awesome music video for ‘Welcome To Babylon” here. Todd Tobias “Gila Man” Out Now! Check out this wonderful interview with the venerable Todd Tobias over at Tape Op. Todd talks about his role as Guided by Voices and Robert Pollard producer, his process as a producer and engineer and also his expansive solo work and collaborations as part of Brother Earth and Circus Devils. Don’t forget to check out his latest solo masterpiece Tristes Tropiques and it’s accompanying EP Moorea. Moonchy & Tobias s/t Debut Out Now! The Underground of Happiness radio show and blog is a firm favourite here at Hidden Shoal so it’s always an honour to get some love and kudos from it’s host, the lovely Conor O’Toole. And what nicer kudos to receive than seeing four Hidden Shoal artists in their best of 2014 lists. Brother Earth, Chloe March, Elisa Luu and Markus Mehr all made The Underground of Happiness best of lists this year along with a range of other wonderful artists. Check out Chloe’s, Elisa’s and Markus’s mentions here and then Brother Earth’s here. We’re excited to present the third single taken from Brother Earth‘s latest album Positive Haywires. In contrast to some of the darker moments on Positive Haywires , ‘Sunny Side of the Street’ sees Brother Earth in decidedly upbeat mode. 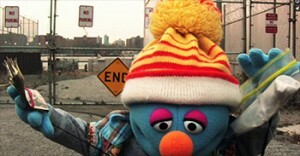 The accompanying playful music video, created by Natalie Van Den Dungen and band members Steve Five and Todd Tobias, features puppetry, guns and drugs, all set against a Brooklyn backdrop. A colourful Jim Henson-style character hits the pavement in high spirits, only to rub up against some cantankerous New Yorkers intent on souring his vibe. What’s not to like?! Brother Earth brings together the formidable talents of multi-instrumentalist Todd Tobias (Circus Devils) and vocalist Steve Five (The Library is on Fire). On their debut album for Hidden Shoal Positive Haywires, which features singles ‘Out Like A Lion’ and ‘City of Gold’, their shadowy, kaleidoscopic music vacillates between brooding textural pieces and exuberant rock-and-roll at the drop of a hat, chasing the ghosts of pop music past into a hall of cracked mirrors. The album’s wonderfully elastic aesthetics shift from dark and broken to sunny and playful in a matter of songs, while maintaining their own warped and beautiful logic. Check out the video below, stream the single at SoundCloud and buy the album at Bandcamp (CD + Digital + Limited Edition Cassette). Head to Brother Earth’s Bandcamp and get yourself a copy of this wild and wonderful album. Brother Earth “Positive Haywires” Out Now! 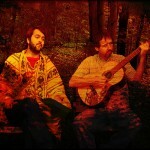 Hidden Shoal is proud to announce the release of Positive Haywires by American duo Brother Earth. To coincide with the release we also have another treat for you in the form of a new music video for the fantastic album track ‘Planet Wednesday‘. Positive Haywires is also now part of the Hidden Shoal licensing catalogue and is available for all film, tv, web and games projects. Brother Earth brings together the formidable talents of multi-instrumentalist Todd Tobias (Circus Devils) and vocalist Steve Five (The Library is on Fire). On this their debut album for Hidden Shoal Brother Earth’s shadowy, kaleidoscopic music vacillates between brooding textural pieces and exuberant rock-and-roll at the drop of a hat, chasing the ghosts of pop music past into a hall of cracked mirrors. The album’s wonderfully elastic aesthetics shift from dark and broken to sunny and playful in a matter of songs, while maintaining their own warped and beautiful logic. The album features the previously released singles ‘Out Like a Lion‘ and ‘City of Gold‘. The album is available now on CD, limited edition cassette and digital formats via Brother Earth’s Bandcamp page. Todd Tobias “Massabu Evening Entertainments” Out Now! ‘Out Like a Lion’ is available for free download along with the latest Brother Earth single ‘City of Gold’ from the band’s Bandcamp. Positive Haywires drops on the 16th September with pre-orders available now. “Brother Earth are a collaboration between former Guided By Voices, Circus Devils and Kramies multi-instrumentalist/producer Todd Tobias and The Library Is On Fire vocalist Steve Five. GBV were renowned for racing through songs in double-quick time and Brother Earth perform similar magic here. The songs within ‘Positive Haywires’ were recorded between 2008 and 2013 and as such the album is all over the place stylistically and apparently sequenced accordingly. ‘Sunny Side Of The Street’ and ‘Cortez The Cuddler’ proffer psychedelic rock and roll in a similar vein to White Album-era Beatles. There’s also ambient pop (‘Lady Of The Lake’), space rock (‘Hidden Valleys (Of Tomorrow)’,’City Of Gold’) and thrilling dEUS-like curiosities to behold (‘Girl With the Crystal Tears’, ‘Claustrophobic Headspace’). Yet for all the invention, the slower songs perhaps merit the most attention. The first single, the creepy, menacing ‘Out Like A Lion’ makes the spine tingle with its simple brooding melody and Five’s sinister turn. For the similarly eerie likes of ‘When I Have Fears That Cease To Be’, ‘Candles On The Beach’ and ‘Both Meeting Somewhere We’ve Never Been Before’, the twosome’s slow burning tension clearly benefits from the longer song format too. “Like I said under September’s full moon, after hearing Brother Earth’s formidable “Out Like A Lion”: ‘It is a little song, scary as hell’. Mark my words. Brother Earth is the collaboration of singer Steve Five (of a band called The Library is on Fire) and multi-instrumentalist Todd Tobias (of Circus Devils). Their label, Hidden Shoal call their musical project to sound like: ‘Their shadowy, kaleidoscopic music vacillates between brooding textural pieces and exuberant rock-and-roll at the drop of a hat, chasing the ghosts of pop music past into a hall of cracked mirrors.’ Yes, right! Ghosts, that is all true. Brother Earth play ghost-ridden pop, or freaked out drone pop, with hints of psychedelic folk. Dare to be suprised, to be spoked, and thrilled. Hidden Shoal also say ‘In one moment they sound like Blur, and in the next they sound like…’ Yes, this stroke me as well! I recalled something close to Blur (you might add The Kinks as well, plus, yes… why not, a dusty version of The Small Faces) at some point (check out “Cortez the Cuddler”), but this trace slipped almost the second I heard it. Unfortunately, not all of the songs is as good as “Out Like a Lion”. Not even half as good, or neat as this tangled and twisted little tune. Positive Haywires holds 16 songs (all written by Five and Tobias, respectively lyrics and music), and there for sure as some cool songs among them. Almost as cool as “…Lion”, that is. “Sunny Side of the Street” is super-duper. It is a 1960s styled/kind of pop/rock song. “Lady of the Lake”is likewise cool, but totgally different than the popper “Sunny Side…”, as this one is on the more noir side of Brother Earth’s specter. The dark and spooky “When I Have Fears That I May Cease To Be” is another track that sticks on my mind. As is the sparkling “Both Meeting Somewhere We’ve Never Been Before”. This latter song is even better than the former, and is probably one of the best songs on the album. I’d like to mention tw oother tracks worth mentioning, namely the psychedelic folk-rocker “Claustrophobic Headspace” and the slow moving “Planet Wednesday”. “Brother Earth is an idea that comes from far away: the encounter between Todd Tobias (Circus Devils) and Steve Five (The Library Is On Fire) dates back to 2008 Since then, the project Brother Earth was grown on an irregular basis to margin of their artistic activities, through impromptu recordings, for the first time collected in “Positive Haywires.”. “American duo Brother Earth is a collaboration between multi-instrumentalist (and producer) Todd Tobias (of Circus Devils, Robert Pollard, Guided by Voices) and vocalist Steve Five (from The Library is on Fire, who recorded with Todd Tobias some years ago. Five and Tobias began collaborating on music videos for Tobias’ band Circus Devils). “Out Like A Lion” is taken from their upcoming album, Positive Haywires (due out 16th September, on Hidden Shoal). Oh, yeah, this is cool stuff! “A precise, singular term to describe Positive Haywires would be the title itself. You could call it an album or a collection of songs, but both would be suitable titles for this 16 track, spaced out, drug pit. Positive Haywires’ focuses on being ludicrous and twisted from the word go. It’s uncomfortable and somewhat frightening, with corrupted rhythms, dismantled from possibly piano tones or guitar tones on opener Plum Creek, setting the tone for this creepily addictive LP. 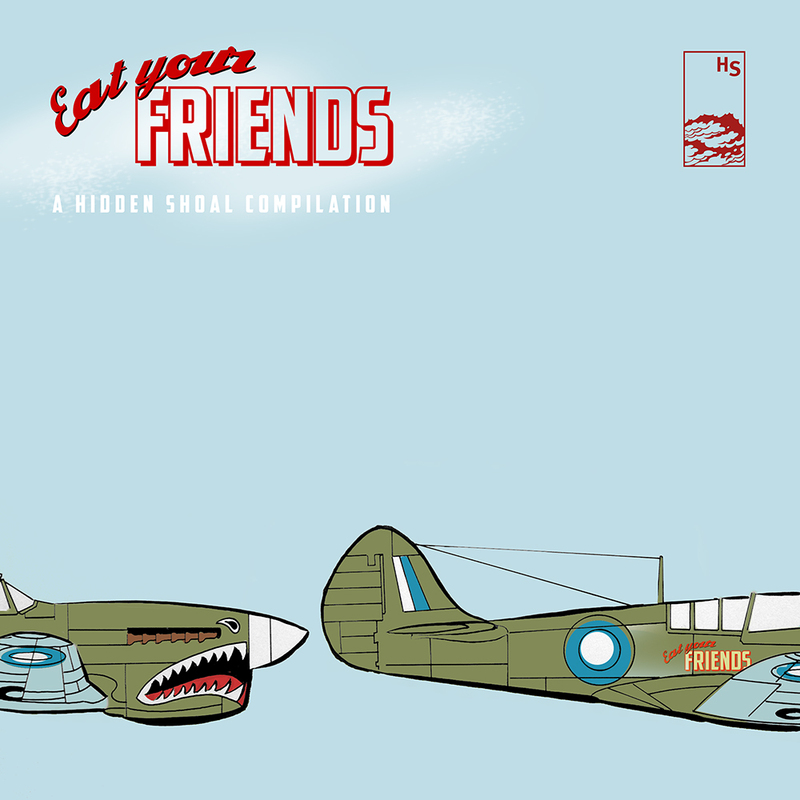 The weirdness crosses and grows on following track Out Like a Lion, as Steve Five’s loose whispers digress into the darker depths of Haywires. With half of Positive Haywires struggling to find the two minute mark, these short musings transpire into chaotic, terrifying, alternate realities constantly; felt only on a bad acid trip. Psychedelia is the primal grounding for most of Haywires; constructed to either amplify the traditional, upbeat, sun drenched melodies, or be manipulated into become terrifying nightmares with lo-fi infections. On tracks, Cortez the Cuddler, Girl With the Crystal Tears and Claustrophobic Headspace, the terrifying nightmares are a plenty, with Cortez escaping the grasp of psychedelia’s warmth and uniting with the twisted riffs of heavy rock, while Crystal Tears features drone vocal backings and shifty, 90’s horror game ambience, for an odd sense of nostalgia that’s ready to take you back forever. Claustrophobic Headspace falls somewhere between the above two, starting with an almost slacker rock sound, then progressing to a steady rhythm, before dreary, guitar riffs darken the atmosphere with black smog and isolated breaks of near silence. On the other side of this creepy LP, lies an escape to the leaking of light that fills your mind with hope and joy. No Purchase Necessary still plays on the weirdness of Haywires, but does so charmingly, with whimsical lyrics on the multiple outputs of modern day earnings, “/make your phone explode with business, you can make money from your own home, we will give you cash for your gold”. It’s only 51 seconds, but it’s 51 seconds of giggles with psychs telling the truth on modern day living. The familiarity of traditional psych doesn’t just start and end with No Purchase Necessary, it actually begins with Sunny Side of the Street, which is as recognisably psychedelic, as a Pink Floyd. Boasting jiving rhythms and positive lyrics about basically staying positive, Sunny Side brightens up the gloom found spaced out on Haywires. “Brother Earth is the collaboration of The Library is On Fire front man Steve Five and Circus Devils’ Todd Tobias. Brother Earth began recording in 2008 and this their debut album featured a collection of their tracks over the past 5 years. The album works as a spacey dream sequence with a collection of musical pieces that go off in different directions from each other yet seem to flow from one to the other in a way that works. The 16 tracks on offer range between 50 seconds and 4 minutes with half the tracks being less than 2 minutes. The result is an amazing journey with a banquet of sounds twisting, turning, and contrasting against each other. This ensures the album is interesting the whole way through with new ideas popping up. The lead single from the album, Out like a lion, is a main highlight to the album. The minimalist lo fi folk sounds paired with a sombre whimsical vocal creates a beautiful experience! The follow up single City of gold, is a short and sweet spacey experience in the vein of Porcupine Tree. Going for just over a minute the song packs depth and atmosphere transporting you out somewhere far away! Girl with the crystal tears is another standout to the album. Mixing an experimental industrial soundtrack with a Beck-esq indie narrative the track works as an offbeat indie tune that it quite unconventional but really cool! In addition there is some experimental prog rock tunes with the DIY sounding opener Plum Creek, and the spacey Hidden valleys of tomorrow. There are also some rocking tunes such as the off beat indie pop tune Sunny side of the street, and the gritty and raw Cortez the cuddler. “Brother Earth is Brooklyn based duo Steve Five and Todd Tobias. They met when Steve recorded at Todd’s studio in Kent, Ohio with his band The Library Is On Fire. The friendship led firstly to collaborating on videos for Todd’s band Circus Devils (with Robert Pollard of Guided by Voices) before they began recording together under their Brother Earth moniker. Taken from our forthcoming album Positive Haywires, which drops on 16th Sept 2014) through Hidden Shoal, comes ‘Out Like A Lion’. It’s this slightly eerie, claustrophobic indie pop song that opens with these clicks and ethereal shimmering backing, sugared with the backing vocals and a melody line that leads you through. As it continues, so it gets less sure of itself, almost reticent scared almost as around every corner there seems to be a (musical) surprise with these increasingly urgent splashes of discordant noise. Brother Earth’s music is available for licensing (master & sync cleared) through Hidden Shoal. Please contact us with some basic details about your project and the track(s) you wish to use and we’ll be sure to get back to you straight away.